Get rid of Malware under 5 Minutes. Removes all kind of Threats and Protects PC. 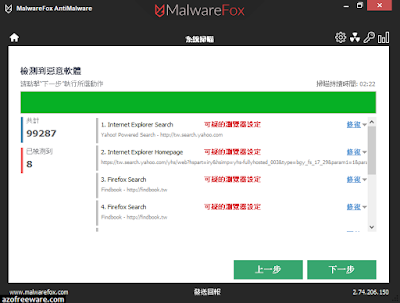 Antivirus often misses out annoying pop-up ads, unwanted apps, spyware, identity thieves, ransomware, and more; MalwareFox detects and removes all kind of known and unknown malware.